Over the last 18 months, I have travelled from a loft apartment in New York, to a finca in Spain, lived over a bakery in Bath, on to a factory in Germany, stayed for a while at a sheep farm in Wales, stopped off at a holiday chalet in Skegness, UK, then to a gîte in France, and finally to a barn in Norfolk, England. In each place I have set down my suitcase, full of half-written songs, met up with amazing musicians, writers and producers and finished my second album. It has been a long, hard journey, full of trials and tribulations, full of tears, full of joy, full of laughter, full of friendship, but most of all, totally worthwhile. Making a great album is more than just writing great songs. It's about relationships and how musicians communicate with each other. I had a great time recording the new album with my band. We were inspired and spoke to each other loud and clear through music. There is nothing like recording a band live in the studio. It is as honest and passionate as you can get. Thanks to our producer Hennnig Gehrke for doing such a great job keeping the session on track and bringing the best out in us all. Here's a little behind the scenes look at some moments from the session. As a huge Procol Harum fan, I've always admired the artistry and genius that is Robin Trower. You can imagine what an honour it was to be asked to support Robin in London for a sold-out show at the beautiful Islington Assembly Hall. At the same time, it was an artistic challenge. I was asked if we could do a stripped down version of the full band and go out as a trio with Ash Wilson on acoustic and electric guitars and Bob Fridzema on keyboards. But, there was only one answer, and that was a resounding, "yes!" Then things got complicated. I was heading straight to Wales from New York to squeeze in some recording sessions for the new album with Wayne Proctor and Steve Wright. Ash was out of the country and not returning until the night before the show. So, the plan was to rehearse at the venue for a few hours before showtime. More complications surfaced. Ash took a bad fall on the ice after an untimely UK snow storm and badly sprained his wrist. By the time Ash stepped into the concert hall, he was in so much pain we doubted if he could play. Then the keyboards arrived without pedals or cables. It now looked certain that we would not go on. A skilled backstage crew sorted out the keyboards and Ash got some serious painkillers from my dear friend Chris Taggart, who is Robin's very talented drummer. As a side note – coincidentally – the day before I recorded a great song that will appear on my new album called, "Back-Up Plan," written by Richard Watts, who is amazing on bass and vocals for Robin. We decided it would be best to forego the rehearsal to give Ash's wrist time to settle down. We warmed up with a bit of "Damn the Reason," filmed below. It was showtime and we took the stage! Ash, Bob and I exchanged secret smiles.Then the music started. The audience and I together heard how the songs revealed themselves for the first time. The spontaneity was exhilarating and inspiring. Ash and Bob did a fantastic job redefining the music, which allowed me to reinterpret the lyrics and focus on the emotional content. It was a night I will never forget! 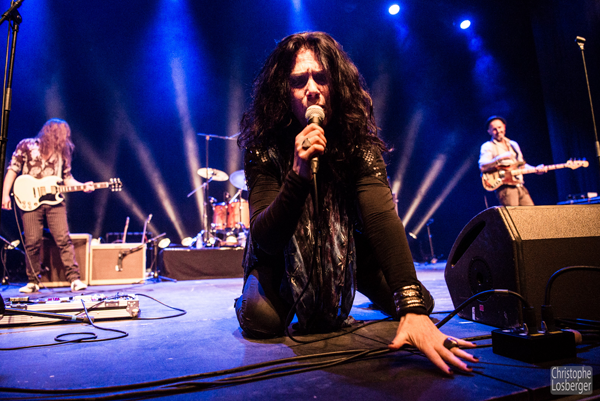 Sari’s debut album is titled ‘A Force of Nature’, and that’s exactly what was on display for 75 minutes on this closing day of Ottawa Bluesfest 2017. It’s an easy thing to call a big-voiced female blues-rock singer ‘Joplin-esque’, but in this case the comparison is entirely apt. Not in any imitative way, but in the ability the two share to build fluidly from a whisper to a scream while radiating an emotional intensity that grasps an audience by the throat. Not does ‘blues’ or even ‘blues rock’ quite capture the sound, with flavourings of traditional folk, world and progressive elements that make it an exotic fusion all its own. Much of this instrumental depth comes courtesy of the finely-tuned Engine Room – incredibly, this wasn’t even Sari’s regular band, who are based in England and weren’t onboard for this trip, but rather a set of highly skilled ‘spare parts’ on guitar, bass, drums and keys. Onstage, Sari was a whirling dervish of intensity. The set was bookended by a pair of killer covers, extended versions of trad folk classic “In the Pines” and Lead Belly’s “Black Betty”, both beginning slow and haunting before building to muscular crescendos of instrumentation over which surfed the singer’s banshee-like wailing. Original material from the album like “Ain’t Got No Money”, “Letting Go”, “Demolition Man” “Kiss Me” and especially the gospel-like fervour of “Ordinary Life”, all resounded powerfully with the audience. It’s been a stormy day in Montreux. We step off the train into a torrential rainstorm and struggle through the short walk to our hotel near the lakeside. The usual spectacular view is completely obscured by clouds and mist, with only the start of the lake visible and no hint of the stunning vista of mountains that lies on the far side. 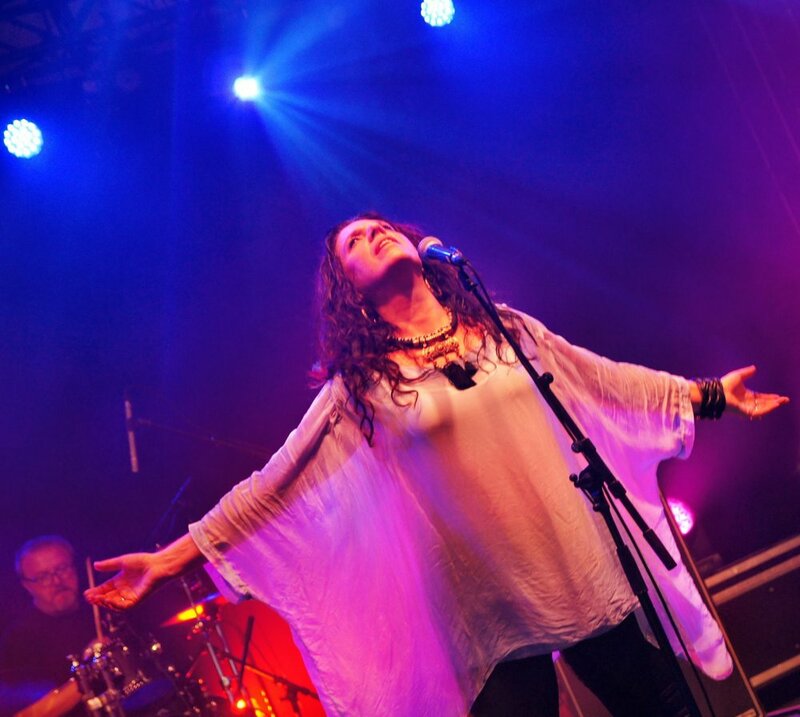 Fortunately the rain has halted by the time Sari Schorr takes to the outdoor park stage at the festival at 8pm. One of the (many) great features of the Montreux Jazz Festival is the amount of free shows that one can see. With no admission charge to the festival itself, the enterprising music fan can wander in along the extensive promenade of bars, food outlets and venues and discover a host of eclectic musical delights on the park stage and other free venues – in addition to the bigger paid shows in the Jazz Club and Stravinski Auditorium, which towers above the rest of the festival. Where else could you see an artist of Schorr’s calibre absolutely free and in a stunning (albeit still somewhat cloud obscured) setting? 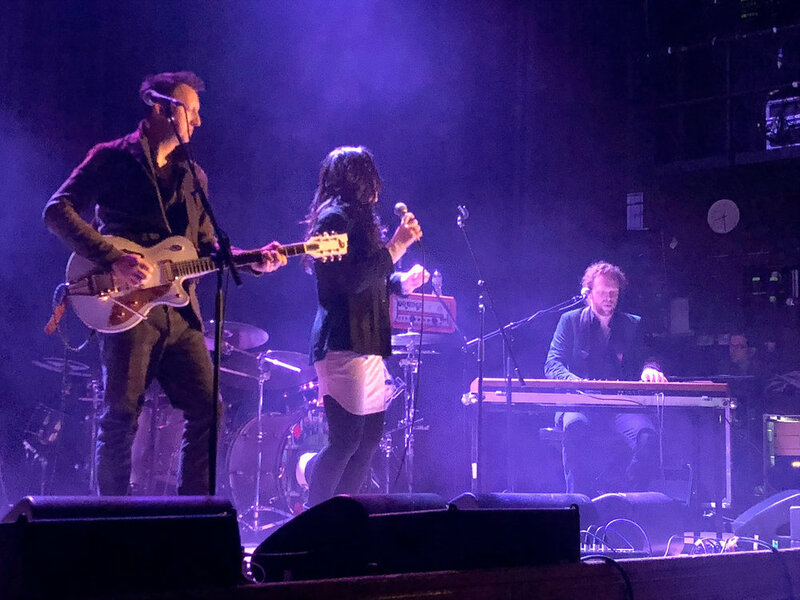 Schorr and her band, The Engine Room, quickly dispel any lingering unease at the temperamental weather and – despite an unfortunate recurrence of the rain midway through their set – turn in a typically sensational performance. Opening with Ain’t Got No Money they treat the hardy audience members to a large chunk of music from Schorr’s excellent debut album, Force Of Nature, and the rocking, bluesy and soulful tunes are a perfect antidote to our weather woes. Schorr is clearly delighted to be here and delivers every number with typical passion and intensity, morphing her sterling voice to suit each song. At times her vocals are smooth, bewitching, and at other moments they are raw and full of grit. She’s accompanied by her four piece band – and they’re very much a band, no mere conflagration of backing musicians. Hardened by months on the road this year they play with an almost telepathic synthesis. Witness, for example, the rhythm section of Kevins O’Rourke and Jefferies laying down a spot on blues groove on Demolition Man, while keysman Anders Olinder tops it with lashings of organ. Meanwhile, what can be said about guitarist Innis Sibun that hasn’t already been said a thousand times? The former Robert Plant guitarist is a sensational player, and fires out scorching solos and subtle licks throughout, while stalking the stage, kneeling down to play to rain soaked fans at the front and providing the perfect foil to Schorr’s commanding performance. The guitarist’s history is nodded to on a visceral cover of Led Zeppelin’s Rock & Roll – where O’Rourke also gets to show off his chops on the dynamic fills. Indeed Schorr herself seems so entranced watching the band she almost forgets to sing, prompting a dash to the mic for the opening line. She makes it, and completely owns a challenging, iconic vocal. Elsewhere the band turn in a mesmerising new take on Led Belly’s Where Did You Sleep Last Night? With Schorr digging deep down to emulate the great man’s low tones then soaring to great peaks that are all her own. She makes sure to note that without Led Belly there would be no rock and roll, then invites us to journey to her part of the world on the silky, grooving Oklahoma. Sibun’s skills are brilliantly showcased on Freddie King’s superlative guitar instrumental Hideaway, while the band tempt fate during a powerful, knowing Stormy Monday before Olinder backs Schorr with sweet piano playing on the gorgeous Ordinary Life. 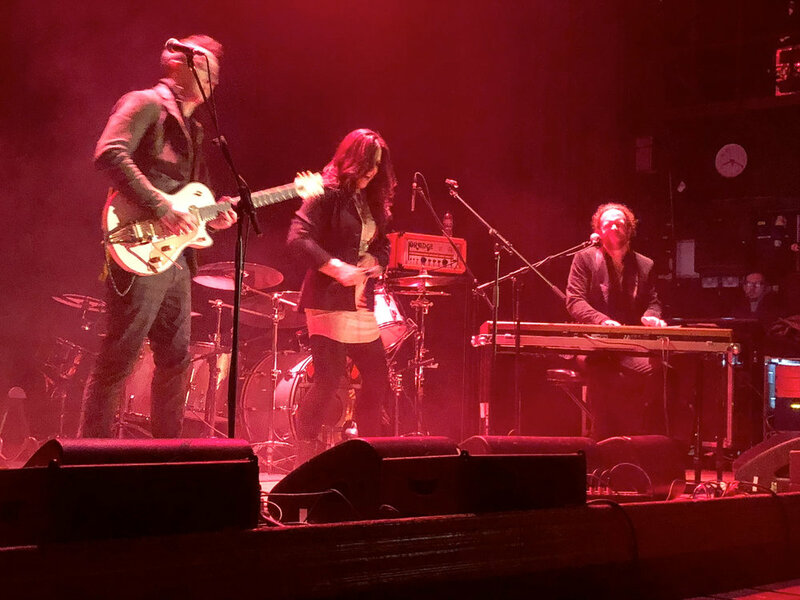 The rain eases a little for the rocking Damn The Reason and excellent Aunt Hazel before Schorr and The Engine Room bring the curtain down on a superb hour and a half with their reinvention of Black Betty, which breathes new life into the oft-covered standard. Catch them while – and whenever – you can! It’s 8 am. I’m riding shotgun beside my tour manager Alex, heading back to the UK from Germany on a windy morning. Alex just said, “The tour bus is being tossed around like a piece of paper up an alley.” I’m trying not to spill my coffee. With the wind on our heels, we’ll cross the borders of four countries, (German, Belgium, France, UK), by the time we’re wheels down on the shores of England. We’ve put 16,000 miles behind us the last few months. In the last four days alone, we’ve rolled into three countries for three shows: The Netherlands where we played the iconic Ribs & Blues Festival, France for the Leogan Jazz & Blues Festival in Bordeaux, and then Germany for a show in North Rhine-Westphalia. Walter Trout headlined Ribs and Blues. I watched from the wings in awe as he captivated all of the several thousand people in attendance. He brought me to tears during “Please Take Me Home,” a pain infused song about his struggle to survive. Then to my surprise, Walter invited me to join him on stage. We had a ball! The UK/European tour has been stunning. I’ve met so many wonderful people, who inspire me to continue to do what I love. It has always been my dream to see the world on a voyage of music. There are a few highlights to share. One was our show at Mühle Hunziken in Rubigen, Switzerland, where we performed on the stage that Walter Trout, Dr. John, Robben Ford, Robert Cray, Bood, Sweat & Tears, Curtis Mayfield, Cyril Neville, Sonny Landreth, Gilberto Gil, and Cesaria Evora once stood. The Vienna Blues Spring Festival brought us to Austria for the first time and introduced us to Knödel dumplings. Our show at Musiktheater Piano brought me back to Dortmund, Germany, where Henning Gehrke and I wrote several songs that appear on A Force of Nature. It’s quite in the bus at the moment. The guys are catching up on some much-needed sleep. I’m going to spend the rest of the 8-hour trip working on new lyrics. When I pause for reflection, I will be picturing the faces of the people we’re meet on the road and know that I am truly blessed. I'm in the UK for four shows over Easter before continuing the tour in Europe. Do catch me in Milton Keynes (tonight), Worcester (13th), Southport (15th) or Crawley on Easter Sunday (16th). I'd like to tell you about two songs - Cat and Mouse and Work No More. I'm delighted that my song 'Cat and Mouse' which was written with Mike Vernon and Quique Bonal has made it through as a finalist in the International Song Competition for Best Blues Song and also in the category 'People's Voice'. People's Voice is an online voting contest that allows the public to listen to all the finalists' songs and vote for their favourite one. 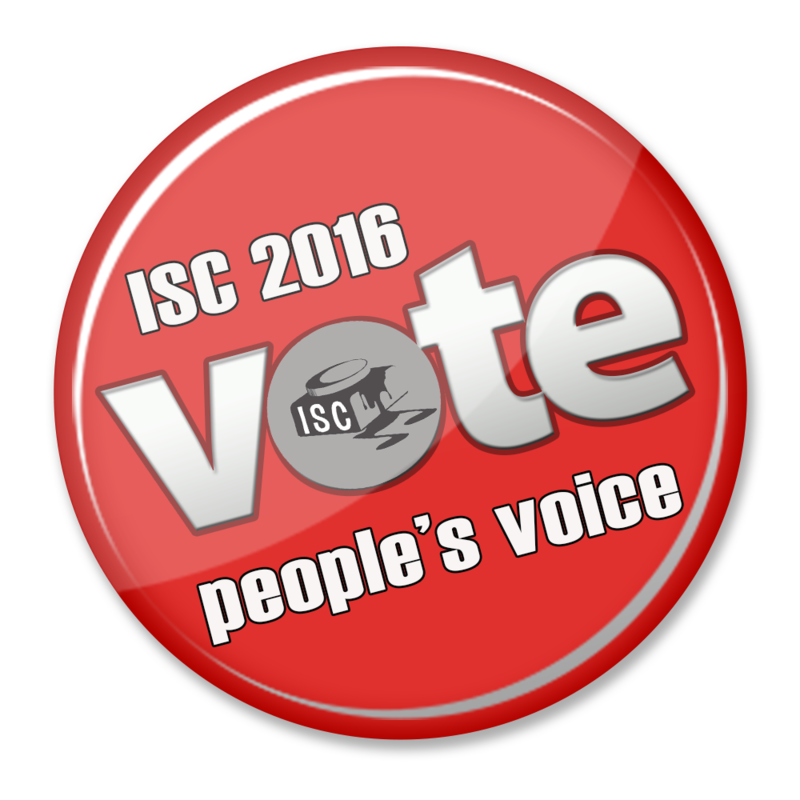 People's Voice is separate from, and in addition to, the winners selected by ISC's judges. So, if I could ask you all a favour to jump on here and vote that would be appreciated! I've discovered that the song 'Work No More' has become a favourite for blues fans in France, probably because the amazing Walter Trout is featured on the song. We played at Arca Blues in Annecy recently and Christophe Lesberger took some amazing photos that I have added to the track. Have a listen! Meanwhile we continue across the UK and Europe in the next few months whilst putting the finishing touches to new songs. We hope to play them for you soon! 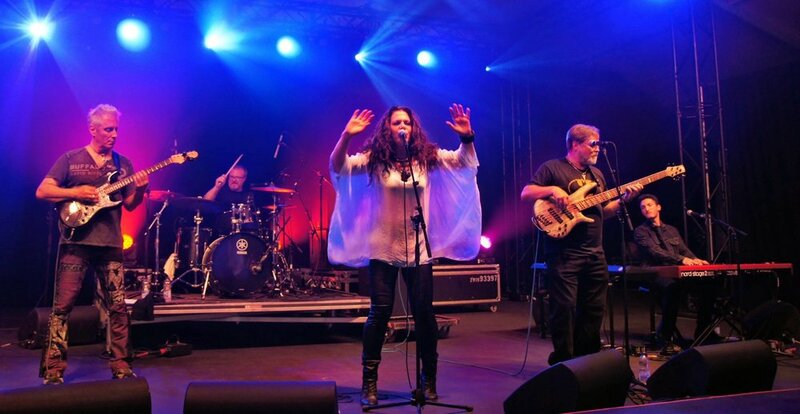 Sari & the Boys Hit Scotland! 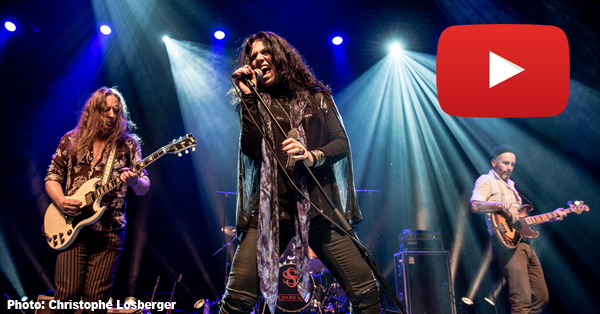 SARI SCHORR & THE ENGINE ROOM ARE HALFWAY THROUGH THEIR EUROPEAN TOUR OF 2017. HERE'S WHAT SOME OF THE VENUES ARE SAYING ABOUT THIS INCREDIBLE LIVE PERFORMER FROM THE USA. 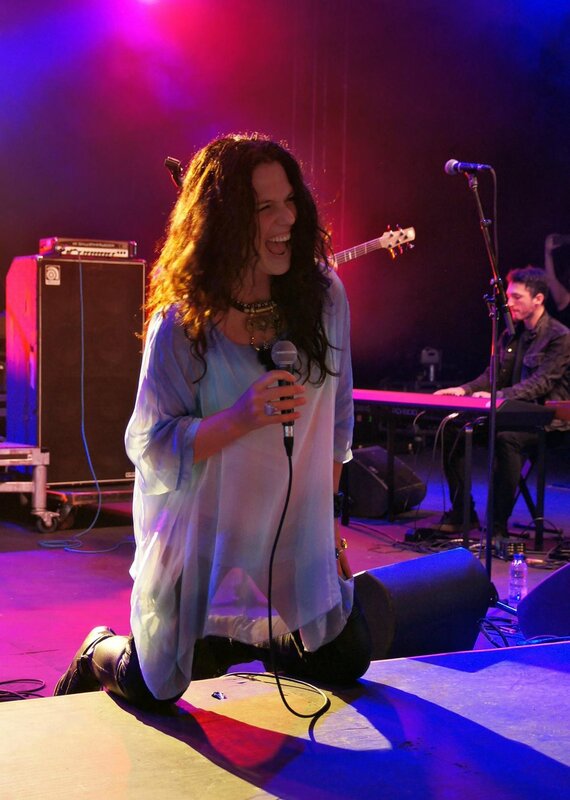 "Back when she was singing backing vocals for others, Sari Schorr must have known, now so does everyone else. She’s not destined for an ordinary life at all. Together with The Engine Room she’s headed for stardom." 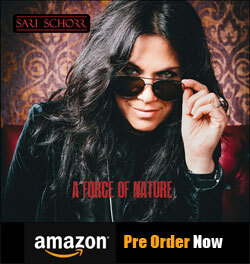 "Sari Schorr is a force of nature. Sari Schorr is a force to be reckoned with. A stunning performer with an incredible voice, backed by a top class band. This was a night to remember and, with a second album in the works, it’s surely merely the beginning for this wonderful lady." "Poor sound and lighting though didn’t come close to spoiling things – a gig from such a talented act in a small intimate venue like this is hard to beat. 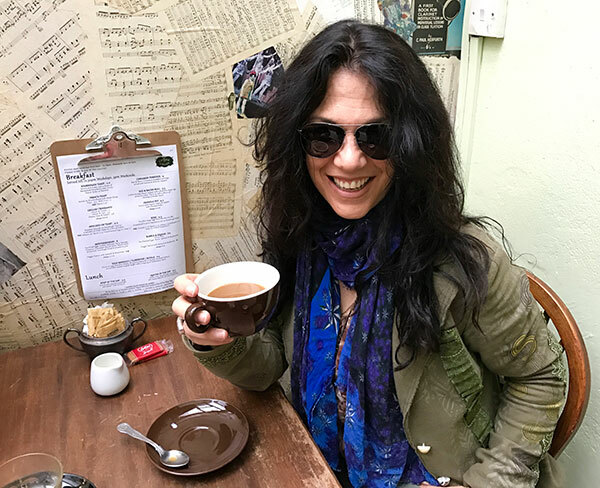 If you get a chance to see Sari Schorr on her UK tour then take it – you won’t be disappointed." 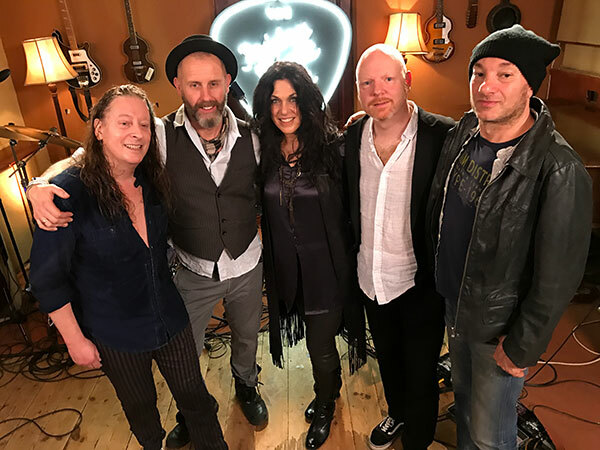 Sari Schorr & The Engine Room on Vintage TV! I'm back in the UK! 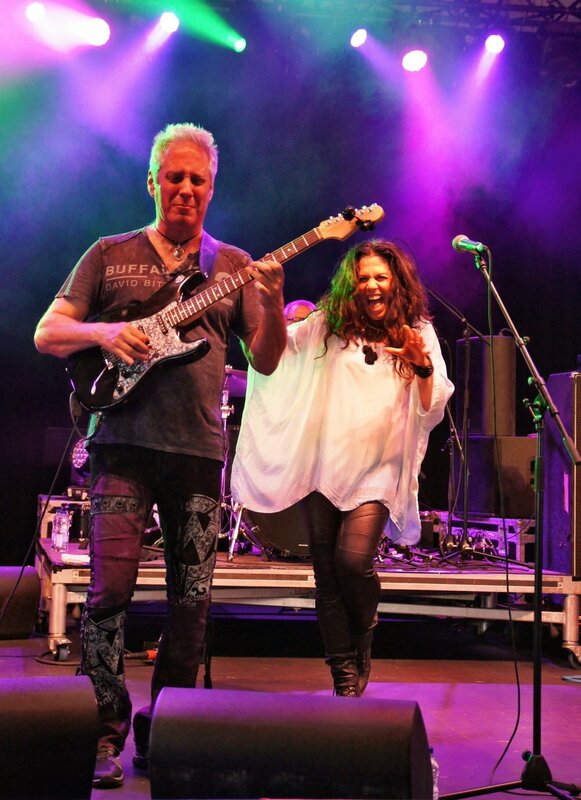 It is great to be playing live with the band again and we are having a wonderful time. We are pictured having just recorded a session for Vintage TV, which will be broadcast in the next few weeks - I'll let you know when it gets scheduled. So it's nonstop shows and interviews right now. I'm so glad you guys have finally got great coffee. [Do let us know where we can find the best cup of java on this tour!]. 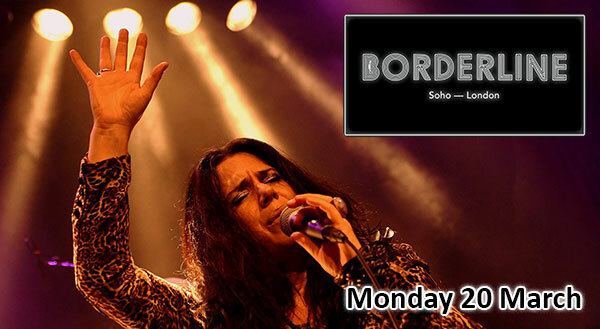 Next show is a big one on Monday at the recently refurbished Borderline in London. We have Ash Wilson supporting, who has a new album out that is picking up great reviews too. I look forward to catching up with you all soon! Today is International Women’s Day. On this day, we sharpen our focus on the issues that will help women and girls achieve their dreams by creating a more gender inclusive world in which all people have an equal opportunity to pursue their ambitions. IWD 2017 celebrates the social, economic, cultural and political achievements of women. It also raises awareness of the serious challenges women around the world face every day, like domestic violence and the lack of access to education. I’d like to share a song I wrote about domestic violence. It’s a hard subject to tackle, but it is important to bring the conversation to the forefront if we are ever going to take concrete actions that will bring us closer to ending domestic violence forever. The song is called, “Damn the Reason.” It was important to me that the song took a compassionate rather than judgmental look at the plight of the victim and how easily someone can become trapped. The double entendre in the line, “Don’t want to see myself in your eyes” shows that she knows how dangerous it is to be physically close to her partner, but it is also the shame she suffers at loosing sight of herself. But, shame will not survive if it is met with empathy. Shockingly, 1 in 3 women around the world, regardless of race, ethnic or religious group, or class, will be victims of physical violence by an intimate partner within their lifetime. If we break the silence by speaking out and stand together, I do believe we can end domestic violence. Are you ready to #BeBoldForChange? Not too Cold for Warm Hearts! February is bitter and shakes me and my fellow New Yorkers to the core. We are numbed even more so by the cold truth that the world is becoming a more dangerous place. As much as I love New York, I am grateful for the opportunity to travel around the world and gain perspective. And, I do so while doing what I love, for people I love. We just finished our first official tour of the Netherlands. The Dutch seem to know something about life that I sometimes forget. The Dutch are joyful and optimistic with a practical fearlessness. I spent some time at the Amsterdam Museum and was fascinated by the history of this 1000-year-old trading city. Amsterdam has always had a strong focus on creativity, free-thinking, and community. And, they love their music! Throughout the entire tour, the band and I were met by so many enthusiastic fans who made us feel at home. I’m always in awe of the power music has to unite people. I was watching Innes during one of his epic solos and was thinking – he is manifesting the sound of love and that is how music can change the world. It’s 5:30 AM here in NY. I’m up early to start writing lyrics before the chaos of the city becomes too distracting. The band and I have begun working on new material for the next album. We met up with our producer Mike Vernon in Spain before the Netherlands tour for a very productive week of songwriting in my favorite studio in Antequera. Mike shared his lovely finca with us. It’s perched high in the mountains with breathtaking views of endless acres of olive groves and almond trees set before cascading mountain ranges. Innes and Kevin O’Rouke took control of the kitchen and whipped up one gourmet meal after another. I decided I love commune living. I feel inspired in Spain. Like the vast expanse of the big sky in Montana, the wide open spaces in Spain, and the pureness of the light provides a fertile ground for the seeds of my imagination to take root. This is where I wrote most of the lyrics for A Force of Nature. A second album is always wrought with a certain amount of pressure, especially when a debut album, as with A Force of Nature, has received so much critical acclaim. So, we will work even harder to make the best possible album. I’m getting excited just thinking about it! So, my dear friends – stay warm, stay joyful and hear the love in the universal language of music. I started growing my audience in small clubs in New York City. I certainly wasn't making music that was commercially viable. In fact, my songwriting skills were still years away from being anything viable. Developing as a writer takes time and plenty of patience. And then one day you feel ready to present your music to the world and you hope like hell that someone will find value in your work. It's been an amazing year! We could not have possibly predicted the success the new album would receive. We will be forever grateful that we had the chance to share our music with so many wonderful people. #1 on the IBBA Chart! What an honor to be the most played album on the Independent Blues Broadcasters Association Chart! I am so grateful to all the hardworking members of the association for supporting and promoting blues radio! 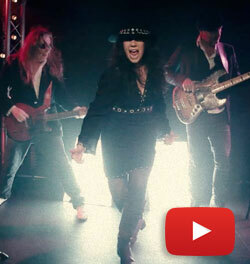 SARI SCHORR Is the New Undisputed Female Rising Star of Blues Rock! 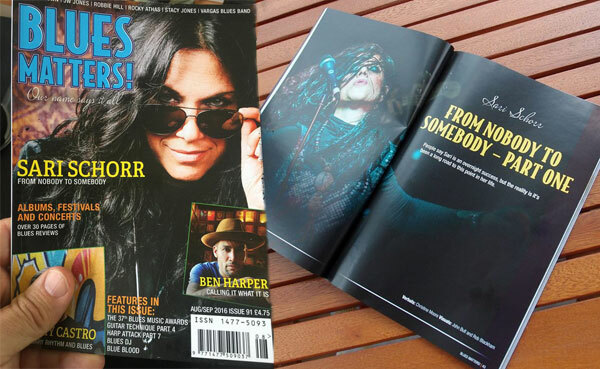 Sari Makes the Cover of Blues Matters AND Blues In Britain! 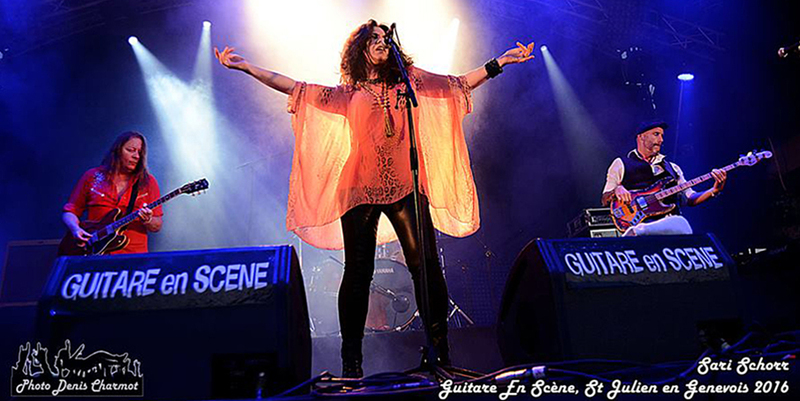 In the first leg of her UK/European tour with her band The Engine Room, featuring ex Robert Plant guitarist INNES SIBUN, a video from Guitar En Scene Festival was put on Facebook. In 7 days it reached over 100,000 people, has already been watched by over 50,000 people, it has been shared by hundreds. I'm honoured to be on the cover of September's Blues In Britain magazine. If that isn't enough, we make our debut in Holland on Saturday at none other than the legendary Paradiso Amsterdam. We are back in London on Monday 5th September for the 'A Force of Nature' album launch party at The Half Moon Putney. It would be wonderful to share this special night with you. I'm having such fun with the band in the UK and Europe. Playing songs that nobody has heard yet is daunting and I have been surprised at some of the reactions. We performed the ballad “Ordinary Life” as an encore, and although there were several hundred people in the theatre, you could hear a pin drop. That choked me up. I love all the songs in the set. When I check the setlist, I’m always looking forward to the next song up, although I’m sweating bullets before "Black Betty" because of the emotional toll it takes on me to get it right. My amazing guitarist Innes Sibun has broken out his twin neck just for that song! Thank you for all your support so far, it has been overwhelming! What a surprise - a front cover for Blues Matters magazine and the record isn't event out! I met up with them for a chat, which turned into an epic interview about my life. The magazine is out now, with a second part next month. Told you it was epic! National Rock Review interviewed me about the album with some great questions - Led Zeppelin II is the record I couldn't live without! Festival Photo gave the album a 5 star review here! 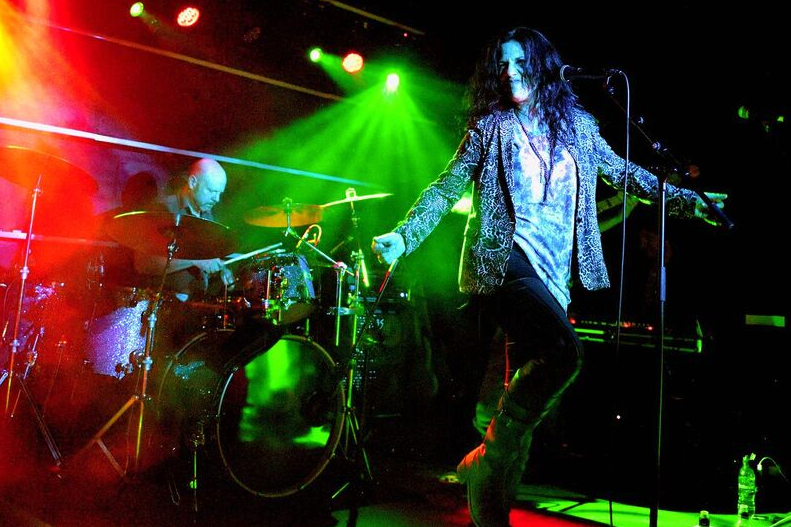 "A superb album - highly recommended" and Fabrications summed it up with a "Hot Damn, Sari Schorr!" You can also listen to a full interview on Sonicbandwagon Radio from an hour in, including a new song 'Aunt Hazel'. And if you head over to Bluesdoodles there's more interview about my love of photography and Pitbulls! The album is available to pre-order now, and is No.2 in the Hot New Blues Releases! I really look forward to seeing you all on tour this year.